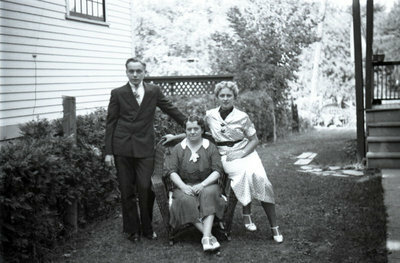 A black and white negative of a man standing, a woman sitting and another woman sitting on the arm of a chair. The negative envelope refers to family as the Adams Family. Adams Family, August 1936, Marjorie Ruddy. Whitby Archives A2013_040_006B.